Fly with drivers license. Did this not happen? 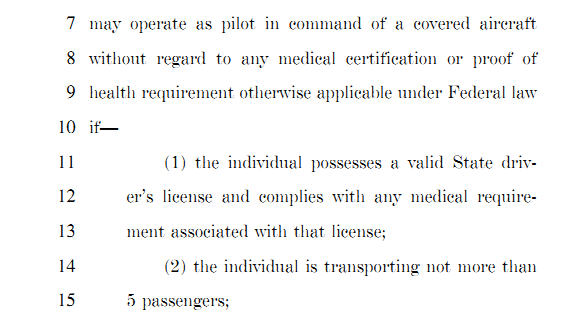 Short answer: politics killed the "driver's license medical" idea for private pilots, but there are still reasons why BasicMed has significant advantages for some pilots. The literal answer to your question is "nothing": the third-class medical hasn't changed at all. What you're referring to is an additional option called BasicMed, which you can hold instead of (for some operations) or even in addition to a third-class medical. I won't get into the details of BasicMed itself (the regulations are in 14 CFR 68), but AOPA has a lot of great information about it. Instead, I'll focus on your "why is this any better than a third-class medical?" question, which seems to be quite a common one right now. In summary, if you're under 40 and healthy then BasicMed may not seem very interesting. But if you're over 40 and especially if you currently have a Special Issuance then BasicMed could be a much easier and cheaper way to fly. As you said, as a new pilot you still have to pass a third-class medical once so let's assume that you've done that successfully. It's certainly true that some people aren't happy with that requirement because they were hoping for a "driver's license medical" where a private pilot could fly without any medical certificate, as sport pilots can do. That idea didn't survive the political process, however. If you want to fly without any medical you still have gliders, ultralights or LSAs. Special Issuances still exist under BasicMed but for a more limited number of conditions than for a regular medical. Practically, that means you may be able to avoid expensive tests that the FAA requires for a third-class. This is a huge benefit for some pilots because it can save a lot of time and money (health insurance typically doesn't cover 'unnecessary' tests). Any state-licensed physician can sign off on BasicMed, but only an AME can sign off an FAA medical. That means in theory it should be easier and cheaper to find a doctor for BasicMed. In practice people's experiences have been mixed on this, but BasicMed is still very new and it's not surprising that some doctors may not be comfortable with it. There may be other reasons, but those are some common ones I've read about. If you're a member, the AOPA forums have a lot of discussions about individual experiences. Not the answer you're looking for? Browse other questions tagged faa-regulations medical basicmed or ask your own question. How can I get back up into flying after not flying for over 20 years? How to choose between BasicMed an a Class III Medical?